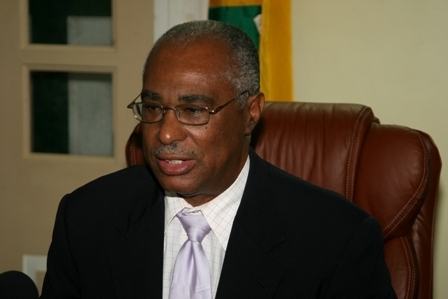 The Nevis Reformation Party in Government strongly condemns recent statements and allegations made by the leadership of the Political Opposition here in Nevis. It is deeply regrettable that the Opposition seems determined to drag the High Court into the political arena as was the case in other islands. On Saturday evening the leaders of the Opposition Party, told its supporters at a Public Meeting in Church Ground that the High Court Judge has been colluding with other upstanding citizens to defraud the electoral system on Nevis. The fact is that for some time now the Opposition has expressed dissatisfaction with the conduct of Nevisians working at the Electoral Office regarding voter registration. Under our laws, the Opposition has been afforded an opportunity to file objections and to have a Registration Officer review them and to make a determination on those matters. Let me say from the outset, that both Parties on Nevis have filed objections and not all of the results have been favorable to either of the Parties but my Party has accepted and respected the decision of the Registration Officer. The Opposition however has opted to utilize another opportunity afforded by our laws, which allow them to take any unfavorable decisions by the Registration Officer to a higher authority for hearing and decision. That higher authority is the High Court. The Court System is there for many reasons: to interpret the law, and in many cases to resolve disputes. On three separate occasions the Opposition has received an audience at the High Court level with the goal to overturn the decision of a Registration Officer. On each and every of those occasions, the High Court has upheld the decision of the Registration Officer and disagreed with the Opposition. It is therefore very unfortunate and regrettable that instead of accepting and respecting the decision of the Court, the Opposition has decided to embark on a negative campaign to discredit and malign both the Electoral Office and the High Court here in Nevis. On Saturday evening, the leader of the Federal Opposition who is also seeking to replace the duly elected representative of the parish of St. John resorted to characterizing the conduct of the Electoral Office as “corrupt” and described the Office as a “den of inequity”. It is interesting to note that the “shut-down-Charlestown” protest march is scheduled to take place after all businesses would have closed their doors for businesses for the day anyway. My friends and citizens, desperate men do and say desperate things. When these desperate statements are made by attorneys and officers of the Court who have for so long pretended to be different, they expose themselves as desperate men who are capable of saying and doing any and everything to seek the privileges of power. Nevisians, be warned. Many a city, a country and civilization have been destroyed by men driven by a desperate greed for power at all cost. The Opposition if made up of such desperate men who are on record as refusing to accept the legitimacy of my Government. Additionally, his colleague candidate, who is seeking to unseat the Premier of Nevis, on Saturday evening, launched a vicious attack on the High Court Judge personally, suggesting that the Judge has been involved in “meetings” with officials of my Party to choreograph biased outcomes in the Court. Almost two days after those public utterances were made, the deafening silence from the Opposition camp, their refusal to condemn or withdraw the recklessness of these statements and the harm that they can inflict on the judicial system is a reflection of the Opposition’s mentality to destroy the rule of law and democracy. I have brought this matter to the attention of the Attorney General and with the hope that the Director of Public Prosecutions to take action protect the Court and institute whatever proceedings possible in order to remedy the situation. And to apologize to the Nevisians working in the Electoral Office and to the High Court Judge for the unacceptable characterizations and allegations levied against them. Fellow Nevisians, soon I will seek for my Government’s contract with the people to be renewed. Despite all the odds, we have made tremendous strides as a small island Government. · We have put 600 people back to work after the successful reopening of the Four Seasons. Where on earth have you ever heard of a multinational company closing down, leaving, and then returning and reopening? · We have finally been able to collect at least ten million dollars more in the NIA’s Treasury from Corporate Taxes that used to be paid into St. Kitts. This will provide money that can be used towards fighting crime and strengthening our social safety net programmes. · We have begun the one-to-one laptop distribution programme, a programme that does not cost one single Nevisian even a penny to procure. We have distributed over 300 so far and hundreds more will be distributed by the next school Term, if not before. · We are expanding the call center at Brown Hill, which now employs 180 persons so that it can employ an additional 100 compared to the measly 5 persons who were employed under the former Administration. · We have exceeded our promise of building 300 houses in our first term as compared 114 under the former Administration. · We have embarked on a revolutionary project that we expect to reduce electricity bills by at least 40% over the medium term. We have started with the Wind Farm which now generates green wind energy (from a renewable source) providing up to 12% of electricity that we consume. We have decided to support the geothermal project to bring down your electricity bills. Not only will a successful geothermal project will allow us to bring down your electricity bills but it will allow us the ability to sell and export electricity to islands nearby. Already President Obama’s White House Energy Task Force has started work to make it possible for Puerto Rico to be one of our first customers. Fellow Nevisians, it is no surprise that the Opposition wishes to distract you from all of the gains that we have made together over the past four short years. Under my stewardship I have demonstrated that through thick and thin, your ship of state has weathered the storm and I am encouraged by your support to continue the hard work that lies ahead to make Nevis an even better place to live. Let us demonstrate that Performance Matters; let us not lose focus; let us work together as one continue to take Nevis and Nevisians forward like never before. May God Bless this island we all love so much.